❤ Love is in the air this summer! ❤ And nothing says LOVE like a bright, happy smile. We help create whiter teeth for upcoming weddings, family reunions, grad photos, or just life. Norwood Dental Centre offers safe and effective professional take-home whitening products that achieve easy, efficient, and professional results. Our doctor will ensure understanding of how the whitening process works and is available to treat any sensitivity issues that may arise. If you’re looking for whiter teeth, give us a call at 780-474-2456! 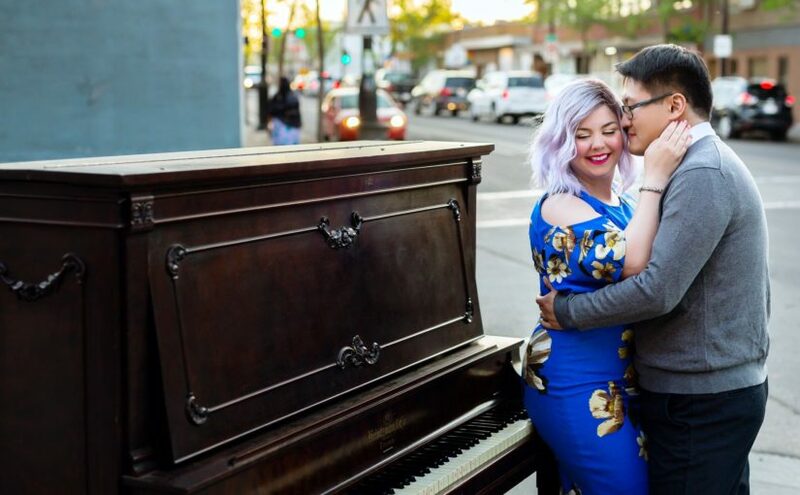 ** Disclaimer: The photo below is of Dr. William Chin and his fiancée/Norwood Dental Centre office manager, Amanda. Amanda has used professional whitening products from Norwood Dental for her smile. This photograph is for promotional purposes only. Individual treatment results may vary from patient to patient, and some patients may not be candidates for whitening treatment.